The New Pornographers emerged in 2000, a conglomerate of talent from regionally successful Canadian bands like Zumpano, Destroyer, and Limblifter. Led by A.C. Newman, the band spotlighted Neko Case’s warm, sumptuous voice and Dan Bejar’s offbeat songs on a handful of tracks each album. They had their winning formula in place right off the bat – upbeat songs with complex chord changes, ornate harmonies, and clever arrangements. You could call them indie pop, power pop, pop/rock, but if you’re a fan of intelligent studio crafted guitar pop, The New Pornographers are one of the leading exponents of the genre in the 21st century. There’s one thing to get straight about the New Pornographers. Even if you’ve ever listened to Limblifter, Immaculate Machine, the Evaporators, and yes, Zumpano, enlisting one member apiece from these bands does not make Carl Newman’s reigning power-pop coalition a “supergroup.” The New Pornographers, long-shining indie stars themselves for 17 years now, contain exactly two members whose solo fame is comparable to or larger than that of the New Pornographers: alt-country brainiac Neko Case, and Dan Bejar, who enjoys rapturous critical acclaim as the simultaneously showy and esoteric Destroyer. The band is also known for Newman of course, but that ain’t because of his Zumpano work. He earned his winning reputation as a magician of hooks through this very band, and sure, the PR boost from being an alleged “supergroup” (albeit one comprised of artists no one had heard of in 2000) helped that legend in ways that don’t quite make sense in 2017. But ultimately this outfit, currently stocked with eight people, is famous for doing one thing: making loads of catchy, well-harmonized tunes whose often mysterious lyricism genuinely appears to have meaning to it, even if it’s often hard to decipher. By contrast, their hooks are some of indie-rock’s most roundly pleasurable: “The Laws Have Changed,” “Use It,” “Letter From An Occupant,” “Sing Me Spanish Techno.” Even though this quirky but profoundly normal band has never enjoyed a level of influence to match say, Animal Collective or Yeah Yeah Yeahs’ respective moments in the sun, few recent rock fans dispute the fact that the New Pornographers have made seven albums of rarely challenged listenability. Only Spoon get talked about with such matching consistency, and frankly, their formalism is a lot warier of the sweet spot; even if you disagree, you’re less likely to sing along with long stretches of a Spoon album. This is partly unfair, because the New Pornographers have so many voices emphasizing and counterpointing their most brilliant moments that they’re pretty much showing you how a crowd would already sound chanting them. But rock ‘n’ roll is unfair. You’d be hard-pressed to find much of a narrative that explains why six other New Pornographers albums worked more than this one. There are clear anthems (one that even goes “put your hands together”) and the same three Dan Bejar contributions as usual. Even trying to explain why the usual brightly lit Neko Case single “Crash Years” has some weary element to it is hard; the band’s two most recent albums stake out fairly familiar territory and yet they don’t feel like they’re falling back on something. The New Pornographers’ fifth album just has some unmistakable “another one” feel to it despite plenty of legible hooks and an emphasis of string instruments on the steady-climbing opener “Moves” that should stand out more than it does. It’s only in the album’s second half that anything emerges that could compete for territory on a best-of: the rollicking “Up In The Dark” with its rousing “What’s love? What’s love?” choruses, the gorgeous, banjo- and piano-employing ballad “Valkyrie In The Roller Disco” with its Fripp-and-Eno-esque guitar solo, and Dan Bejar’s electric orchestral waltz “Daughters Of Sorrow” that finally puts those grandiose strings to memorable use. 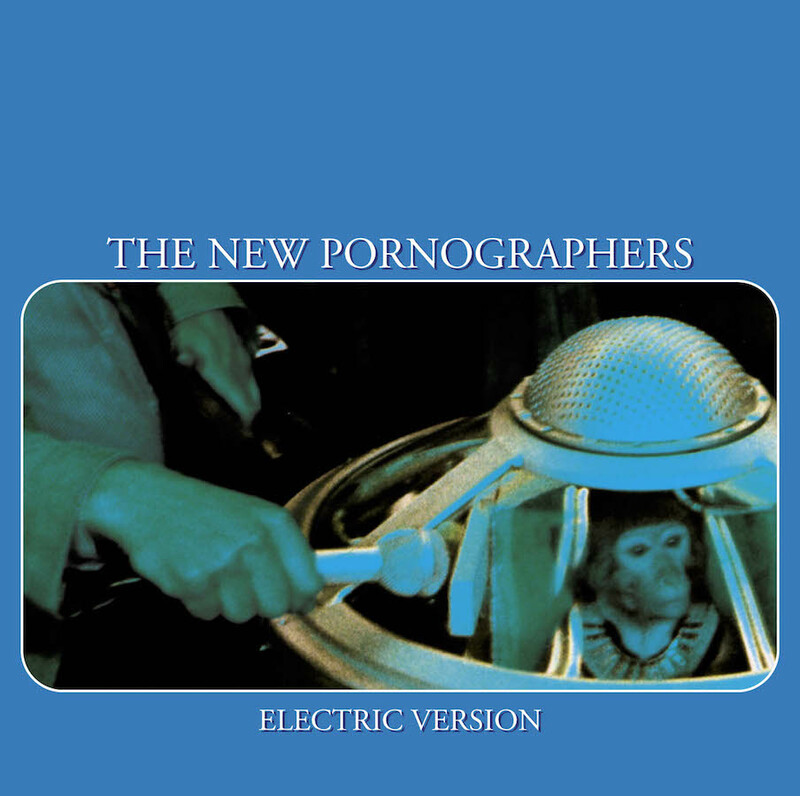 The New Pornographers continued the mellower sound of Challengers with their fifth album. Songs like ‘Valkyrie in the Roller Disco’ and ‘If You Can’t See My Mirrors’ are gentle and low key. Challengers is notable for the high number of guest appearances, including St. Vincent, Will Sheff, and Zach Condon, although the guest appearances are subdued enough not to overly influence the sound of the record. For many, the New Pornographers’ third album is the New Pornographers album. That’s largely due to the extravagant goodwill afforded by four of its tunes: the rickety shuffle and heavenly chorus of “Use It,” the chugging, psychedelic ’60s garage of “Jackie, Dressed In Cobras,” the insistent and inextricable-from-your-cranium momentum of “Sing Me Spanish Techno,” whose riff you’re singing along to well before the band adds their own “Listening too long/ To one song” lyric overtop, and, finally, the penultimate “Streets Of Fire,” which is probably the friendliest melody Bejar has ever composed. These are four of this band’s greatest, most joyful successes ever, layered precisely with parts that are in no way simple, yet go down like chocolate to the ears. Then there are the 10 other songs, such as “Three Or Four” or “The Bones Of An Idol,” which top out at “interesting,” none less than pretty good and none with another hook again as all-encompassing as “Use It.” The bookends “Twin Cinema” and “Stacked Crooked” come closer than others, but the title tune is a particular harbinger of the other thing wrong with the band’s most explicit batch of hits-and-filler to date: Its crude banging and narrow audio scope portends this album’s shocking downgrade in production quality from the band’s first two albums. There’s never a moment that truly bursts from the speakers, and if there’s something else as good as the four best songs here, blame the flat, vaguely cavernous sonics for half-burying anything on the premises that isn’t surefire. 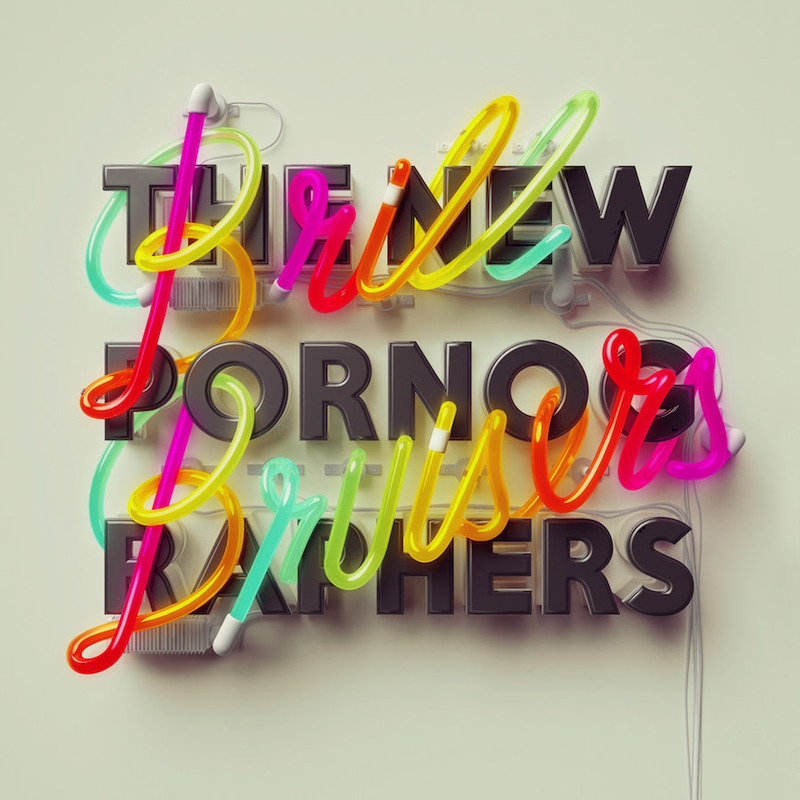 It’s reasonable to categorise The New Pornographers’ first couple of albums as high velocity, and their later albums as more ornate and subdued. Third album Twin Cinema captures them at the perfect place in their evolution between youthful enthusiasm and adult sophistication. And it’s full of great songs like ‘Sing Me Spanish Techno’, ‘The Bones of an Idol’, and ‘Jackie Dressed in Cobras’. In total contrast to Twin Cinema, its follow-up, Challengers, is the New Pornographers album that’s most guilty-till-proven-innocent. It’s easily the band’s least immediate album, with even fewer obvious hits than Together. But they’re worth finding: The opener and single “My Rights Versus Yours” echoes the widescreen gallop of “Use It” with even sweeter backing vocals and “Mutiny, I Promise You” is an addictive Rubik’s Cube of a rocker, equally punk and prog in its wall-slamming chord changes and sudden rhythm stops due to its bizarre time signature that switches between 4/4 and 2/4. Best of all may be the title track, a swirling Case-sung ballad that somehow employs the only prominent acoustic guitars in the New Pornographers catalog. Fan favorite “Myriad Harbour” is here too, if Bejar’s idea of a silly song is yours, too. A.C. Newman’s niece Kathryn Calder joined the band in time for their fourth album, adding a second female voice. While there’s upbeat power pop like ‘All The Old Showstoppers’, the meat of Challengers is in the mellow tunes like ‘Go Places’ and the title track, while Bejar shines with ‘Myriad Harbour’ and ‘Entering White Cecilia’. But more importantly, Challengers’ filler is just more interesting and harmonically diverse than that of its predecessor. Check out the low-buzzing horns on the bluesy throwaway “Failsafe,” or the multiple hoop-jumps of the key-switching orchestral passages of “All The Old Showstoppers.” This is the band’s least comforting album, as many sequences don’t land where a trained pop ear would expect them to, but the adventurousness has aged better and sounds less aimless than it did 10 years ago. Behold, the synths. By 2014, it was declared law that any respectable indie-pop stalwarts still kicking around had to buck up and get a sequencer in the mix. But that’s just décor; it’s the songs that dazzle, the chord changes that spin your head, the harmonies that soothe and formed a backbone to the Vancouver ensemble’s most captivating album in years. Strong from start to finish, Brill Bruisers uses every weapon in the band’s arsenal, whether charging hard (“Dancehall Domine”), glistening placidly (“Another Drug Deal Of The Heart”), throwing memorable obliqueness into the air (“You’re gonna need your body,” chants the gorgeous “Fantasy Fools”), or a slogan worthy of their craft (“They say we can’t make this stuff up/ But what else could we make?” inquires Case on the candy-coated militaristics of “Marching Orders”). Even the stuff that seems a little annoying at first — the “bo-ba-bo-ba-ba-bo” hook of the title tune, Dan Bejar’s goofy-serious delivery on the burbling “War On The East Coast” — accrues heft over time. If only the last few tunes (hi, “Spidyr”!) didn’t trail off slightly. Favourite Track – ‘Brill Bruisers’ (Newman) – but let’s watch Bejar’s ‘War on the East Coast’, where Newman lip syncs all the lyrics on Bejar’s behalf. Except for Together, which is kind of a reheated mush of every New Pornographers album, the group’s other six albums all divide neatly into pairs, thusly: Mass Romantic and Electric Version as uncorked power-pop fizz with barely a moment to catch one’s breath, Twin Cinema and Challengers as two different sides of a more prog- and art-rock-informed version of same, and finally, Brill Bruisers and Whiteout Conditions injecting synthesized rhythm elements into a trickier and more urgent version of the formula. Call these most recent triumphs more horizontal and propulsive forward as opposed to the grand architecture of how the older releases stacked up vertically. The New Pornographers most recent album is their only record not to feature Destroyer’s Dan Bejar, and it feels incomplete without the three quirky songs he usually contributes. But it’s still a very strong record, updating their sound with more electronics, but not departing from their core strengths of melodic, harmony filled songs. Whiteout Conditions is the most monotonous New Pornographers album by some distance, as Carl Newman explicitly stated it’s chiefly influenced by the train-like motions of Krautrock. It’s also the most explicitly political, because even Canadians can’t keep their jaw from dropping at Trump’s blatant atrociousness. So repetition plus conviction equals, what, punk? Not quite, not on a record whose big showstopper is entitled “This Is The World Of The Theater.” But you can hear it foaming around the edges, in the chunky T. Rex-goes-Magnetic Fields groove of “Darling Shade,” in the robotic, distorted squeal of Neko Case’s glorious opener “Play Money,” or the chugging call-and-response of the anti-Trump single “High Ticket Attractions.” There’s a hard-driving relentlessness to the band’s seventh album, even on a moment of relief like “We’ve Been Here Before,” that hasn’t been heard on a New Pornographers album since their debut 17 years ago. It’s also their least complicated and most explicit record by some distance. So, punk? Maybe. For some reason, the New Pornographers never again utilized the grand and vacuum-packed production of their first two albums. Just compare the bleeding-decibel straightness of 2017’s “Play Money” with the beautiful full-room-yet-tight-and-close drum sounds that kick off 2003’s “The Electric Version” and the parent album of the same name. Electric Version is the band’s shiniest record, which doesn’t mean it’s slick. It’s just one of the most wonderfully produced indie-rock albums of all-time, with keyboards sizzling in and around the mix, every lead vocal distinct and upfront, every drum hit bouncing and echoing off what appear to be walls and a floor, while guitars crunch and punch like boxers in a ring. You can hear every distinct element on Electric Version perfectly balanced with loads of density and space in tandem: the glammy riffage and “woo-hoos” of Bejar’s surprisingly sassy “Chump Change” (though that “lesbian rage” line might scan more groaningly of late), the arcade-game bloops of “From Blown Speakers” that give way to full-chorus chanting, the ear-massaging organ and keyboards all over the place. And Case positively shoots out of the mix on the explosive, strutting “The Laws Have Changed,” which is arguably the most perfect song these unencumbered perfectionists have ever constructed. The others aren’t far behind. The New Pornographers added more punch to their intricate songcraft on their second album, adding lead guitarist Todd Fancey to beef up their sound. The best known song is ‘The Laws Have Changed’, where Case, as she often does, steals the show, but I’ve always been partial to the tension build and release of ‘From Blown Speakers’. Bands that write songs this fully realized tend to make their masterpiece down the road after the initial clamor of the debut has died down, and it’s true, Whiteout Conditions and even Brill Bruisers aren’t far from being Mass Romantic’s equals. Electric Version might’ve easily occupied this spot as well, and on the right day it does, though its more than the sum of its parts due to its gorgeous production. Mass Romantic has the parts, the whole, and a desperation that storms the castle like few other power-pop records; compare the seasick churn of Weezer’s “My Name Is Jonas,” for instance, to the way the song “Mass Romantic” kicks like a mule from the speakers. Unsurprisingly, the band’s finest album is the only one to feature songwriting credits from the ever-clever Case, whose sardonic power helps the title track rocket off into Newman’s unfortunately relevant “The Fake Headlines,” and the windmill strumming of “To Wild Homes,” the only New Pornographers song to feature credits from all three of its expert principals: Bejar, Newman, and Case. Every tune on Mass Romantic sizzles and gallops: the bouncing dizziness and endless surprise codas of “The Slow Descent Into Alcoholism,” the spinning-off-a-cliff drumrolls of “The Body Says No,” and Neko Case’s breathless, hiccupping rocker “Letter From An Occupant,” an even rawer example of diamond-hard songwriting in its shining final form than “The Laws Have Changed.” Every chorus on this record is topped by another hook, higher and higher, and when the impossibly stacked plates all come crashing down, that’s just as life-affirming. It’s no wonder that on this evidence no one questioned that supergroup thing. Maybe they are one after all. I’m aware that this is the most controversial placement on this list, placing the band’s popular debut in the bottom half. Mass Romantic is full of creative songs that are much more sophisticated than the usual I IV V chord progressions of power pop, but it lacks stylistic variation – it’s relentlessly uptempo – and feels a bare without a lead guitarist. Definitely some differing opinions here. I absolutely love “Challengers” and “Together” start to finish. I’ve enjoyed their other records as well, but those two are certainly favorites.